Those people born in December often feel that their birthday is slightly overshadowed by Advent and the celebration of Christmas and New Year. Why not make someone born in December feel extra special by choosing a gift of jewellery made from one of the stones traditionally associated with their birth month? Turquoise Swing earrings, a turquoise cabochon mounted Sterling silver. 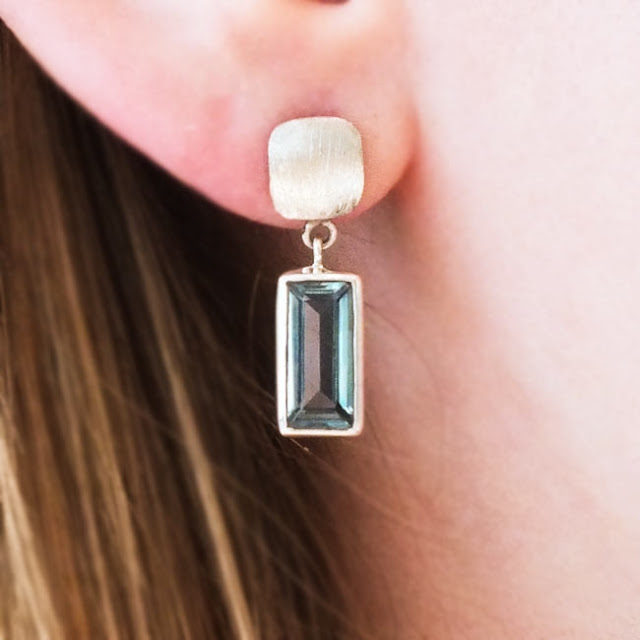 Slender and elegant, these earrings are so versatile. 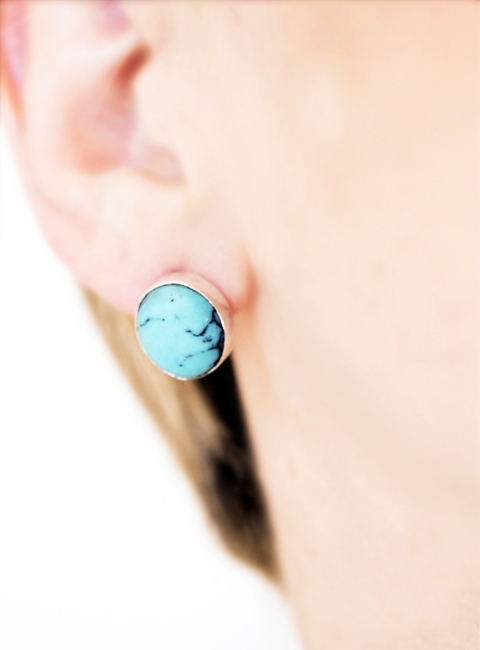 The Egyptians used turquoise for jewellery and buried fine pieces with their mummified elite. In 1900, when the tomb of Queen Zher was opened, she was wearing a turquoise and gold bracelet, one of the oldest known pieces of jewellery ever found. Lapis Lazuli is another stone associated with December. This beautiful deep blue gemstone has entranced people since ancient times. The name lazuli derives from Persian and Latin words and means “blue” or “heaven”. 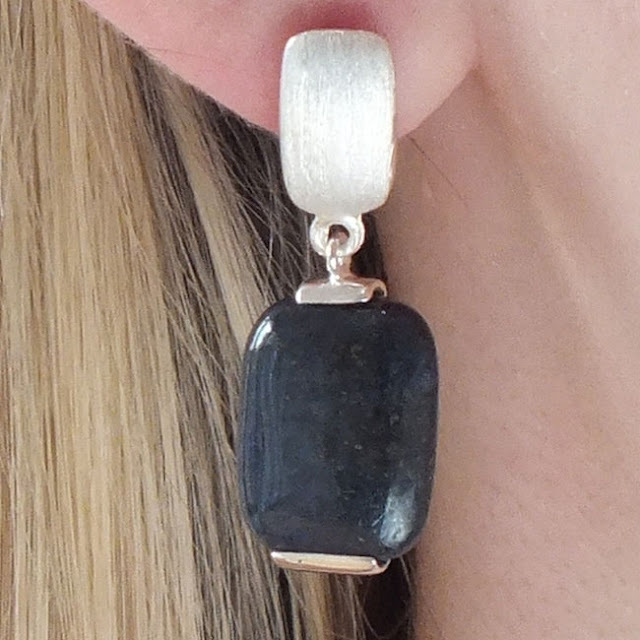 "Paragon" earrings, lapis set beneath a striking brushed silver stud. Through the ages, lapis lazuli was associated with power, wisdom and love. The stone was once powdered and mixed with oil to produce the pigment ultramarine (literally, “beyond the sea”), seen in the beautiful blues of Renaissance paintings. 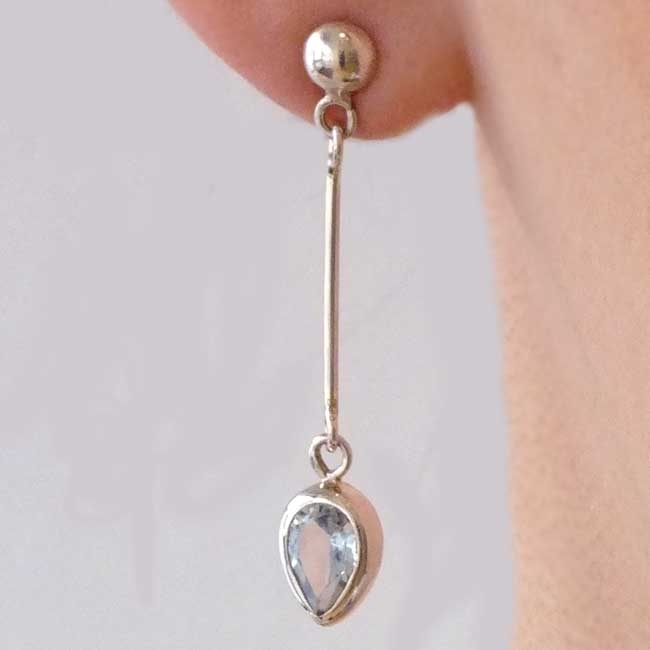 "Timeless" earrings. These feature blue topaz set in a sterling silver pendulum. Yet another blue stone linked to the month of December, blue topaz was greatly valued by the Greeks and Romans. Topaz was one of the twelve gemstones set into the foundation walls of Jerusalem. 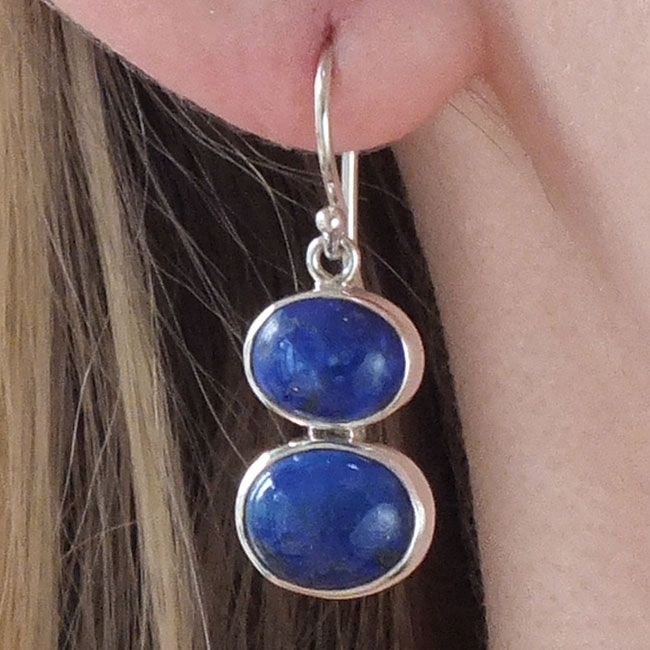 "Blue Allure", another fabulous earring available from our online shop.